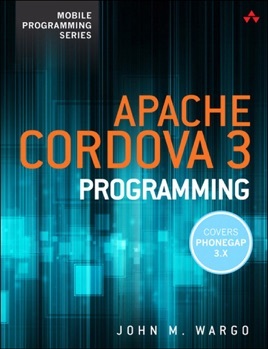 Written for experienced mobile developers, Apache Cordova 3 Programming is a complete introduction to Apache Cordova 3 and Adobe PhoneGap 3. It describes what makes Cordova important and shows how to install and use the tools, the new Cordova CLI, the native SDKs, and more. 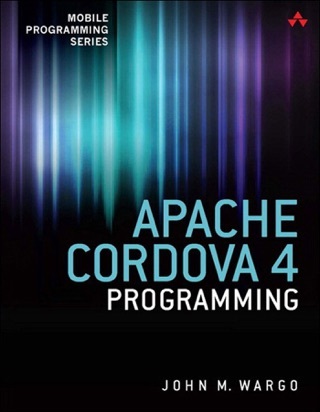 If you’re brand new to Cordova, this book will be just what you need to get started. 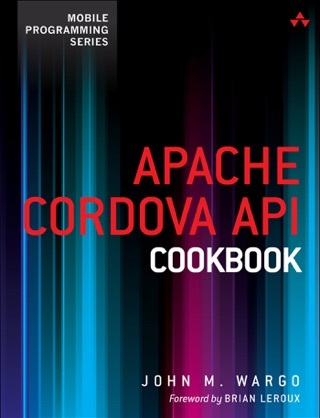 If you’re familiar with an older version of Cordova, this book will show you in detail how to use all of the new stuff that’s in Cordova 3 plus stuff that has been around for a while (like the Cordova core APIs). After walking you through the process of downloading and setting up the framework, mobile expert John M. Wargo shows you how to install and use the command line tools to manage the Cordova application lifecycle and how to set up and use development environments for several of the more popular Cordova supported mobile device platforms. Of special interest to new developers are the chapters on the anatomy of a Cordova application, as well as the mechanics of Cordova development. Wargo also covers the development process and the tools you can use to test and debug your Cordova applications, and provides a complete chapter that introduces the Cordova APIs, in addition to a chapter that shows you how to create your own plugins. 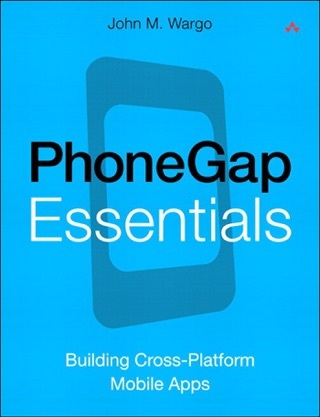 Filled with lots of examples and code, the book includes includes complete coverage of Android, iOS, BlackBerry 1,0 and Windows Phone development for Cordova. The author maintains a web site for the book at cordovaprogramming.com where updates, errata, and the source code for the book are available.